The most common household problem is sink’s clogging. It gathers all sorts of grose things such as hair threads, dirt, food leftovers, and it molds. To prevent all these things to happen you have to clean and disinfect the drain often. The best DIY solution to clean sink’s drain is to use baking soda and vinegar. The first thing you should do is to pour a medium pot of boiling water on the drain, and then add half a cup of baking soda and let it act for a few minutes. Then mix equal parts of vinegar and hot water in the drain. The reaction will start and this is the time when the drain is unclogging. Let it for 5-10 minutes then pour another pot of hot water to clean all the residues. Voila! 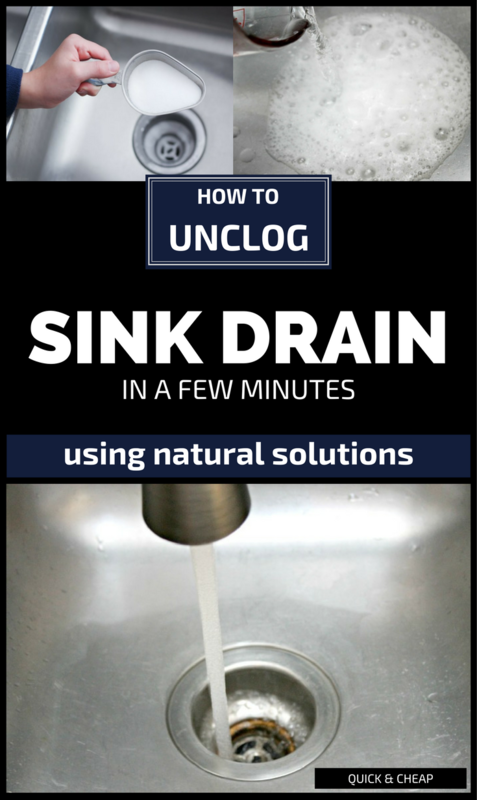 The sink drain is unclogged, cleaned and disinfected in less than 30 minutes.